More information can be found at the BCS Bowls page. The BCS was created (by its own admission) to facilitate the meeting of the No. 1 and No. 2 team in the country in the BCS national title game. As we’ve figured out in the years since its creation, it does much, much more than that. 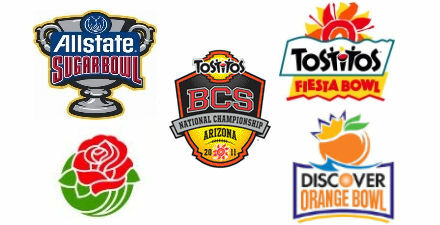 The system also pairs the teams in its four bowls — the Rose, Orange, Sugar and Fiesta. But how exactly does that happen? In the 2013 season as in past years, there is a specific selection process for the five games with slight changes year-to-year. The champions of the six automatically qualifying BCS conferences — the ACC, AAC, Big Ten, Big 12, Pac-12 and SEC — all receive guaranteed bids to BCS games. The highest-ranking conference champion among the four non-AQ conferences — the C-USA, MAC, MWC and Sun Belt — in the final BCS rankings will be assured of a bid to a BCS bowl if they rank within the top 12 or within the top 16 and rank higher than any AQ conference champion. Notre Dame will automatically qualify for a BCS bowl if it finishes among the top eight in the final BCS standings. 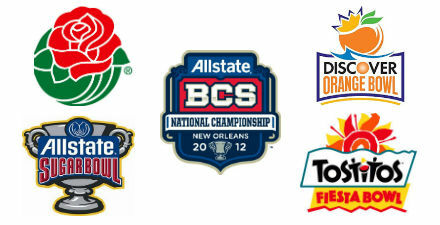 Any team to win nine games and finish within the top 14 of the final BCS standings will be BCS bowl-eligible. Teams in the top 18 with nine wins may also be eligible if there are not enough eligible teams in the top 14. Though more than two teams from a single conference can be BCS bowl eligible, no more than two teams from a single conference can be selected to play in the five BCS bowls. The teams ranked No. 1 and No. 2 in the final BCS standings — regardless of conference affiliation or own-conference finish — will be placed in the BCS National Championship Game to be held in Pasadena, California in January 2014 as the selection committee’s first measure. If any of the bowls’ traditional anchor hosts have been lost to the BCS National Championship Game, that bowl will be allowed to select a replacement team from the eligible pool before other picks are made. If more than one bowl loses a host conference champion, the bowl which lost the BCS No. 1 will choose its replacement from the pool first, followed by the bowl that lost the BCS No. 2. One of these three bowls will be required to select the AAC champion and the automatically qualifying non-AQ champion if one exists. If not selected previously, a team which finishes third in the final BCS standings will automatically be awarded a spot in a BCS bowl if they are an at-large team and not an AQ BCS conference champion. If the third team is a conference champion, the fourth-place team will also be given this automatic eligibility if not selected previously. The three bowls will then select among the rest of the pool if no other teams automatically qualify for inclusion among the five bowls. The BCS acts specifically to match two teams it declares as the two best in the country in a BCS national championship game. The system also facilitates the participants in four other bowls — the Sugar, Fiesta, Orange and Rose bowls. In the 2012 season as in past years, there is a specific selection process for the five games with slight changes year-to-year. The champions of the six automatically qualifying BCS conferences — the ACC, Big Ten, Big 12, Big East, Pac-12 and SEC — all receive guaranteed bids to BCS games. The highest-ranking conference champion among the five non-AQ conferences — the C-USA, MAC, MWC, Sun Belt, and WAC — in the final BCS rankings will be assured of a bid to a BCS bowl if they rank within the top 12 or within the top 16 and rank higher than any BCS conference champion. 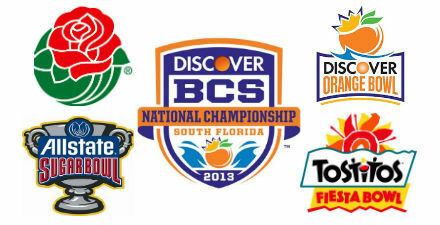 Any team to win nine games and finish within the top 14 of the final BCS standings will be BCS bowl-eligible. Teams in the top 18 with nine wins may also be eligible. The teams ranked No. 1 and No. 2 in the final BCS standings — regardless of conference affiliation or own-conference finish — will be placed in the BCS National Championship Game to be held in Miami, Florida in January 2013 as the selection committee’s first measure. One of the three bowls will be required to select the Big East champion and the automatically qualifying non-AQ champion if one exists. As it acts today, the BCS facilitates matchups in five bowl games — the BCS National Championship Game along with the Orange, Sugar, Fiesta and Rose bowls. In the 2011-12 season as in past years, there is a specific selection process for each of the five bowls, with slight changes year-to-year. The highest-ranking conference champion among the five non-AQ conferences — C-USA, MAC, MWC, Sun Belt, and the WAC — in the final BCS rankings will also be assured of a bid to a BCS bowl if they rank within the top 12 or within the top 16 and rank higher than any BCS conference champion. Any teams which wins nine games and finishes within the top 18 of the final BCS standings will be BCS bowl-eligible, although a team within the top-14 will have priority on eligibility over a team ranked 15th-18th. The teams ranked No. 1 and No. 2 in the final BCS standings — regardless of conference affiliation or own-conference finish — will be placed in the BCS National Championship Game to be held in New Orleans, Louisiana in January 2012 as the selection committee’s first measure. If any of the bowls’ traditional anchor hosts have been lost to the BCS National Championship Game, that bowl will be allowed to select a replacement team from the eligible pool before any other picks are made. If not selected previously, a team which finishes third in the final BCS standings will automatically be awarded a spot in a BCS bowl if they are an at-large team and not an AQ BCS conference champion. If the third team is a conference champion, the fourth-place team will also be afforded this automatic eligibility if not selected previously. The three bowls will also be able to select among the rest of the pool if no other teams automatically qualify for inclusion among the five bowls. In the 2010-11 season as in past years, there is a specific selection process for each of the five bowls, with slight changes year-to-year. The champions of the six BCS conferences — the ACC, Big Ten, Big 12, Big East, Pac-10 and SEC — will all receive guaranteed bids to BCS games. The top ranking conference champion from the five non-AQ conferences — C-USA, MAC, MWC, Sun Belt, and the WAC — in the final BCS rankings will also be assured of a bid to a BCS bowl if they rank within the top-12 or within the top-18 and are ranked higher than any BCS conference champion. Although more than two teams from a single conference can be BCS bowl eligible, no more than two teams from a single conference can be selected to play in the five BCS bowls. The teams ranked No. 1 and No. 2 in the final BCS standings — regardless of conference affiliation or own-conference finish — will be placed in the BCS National Championship Game to be held in Glendale, Arizona in January 2011 as the selection committee’s first measure. 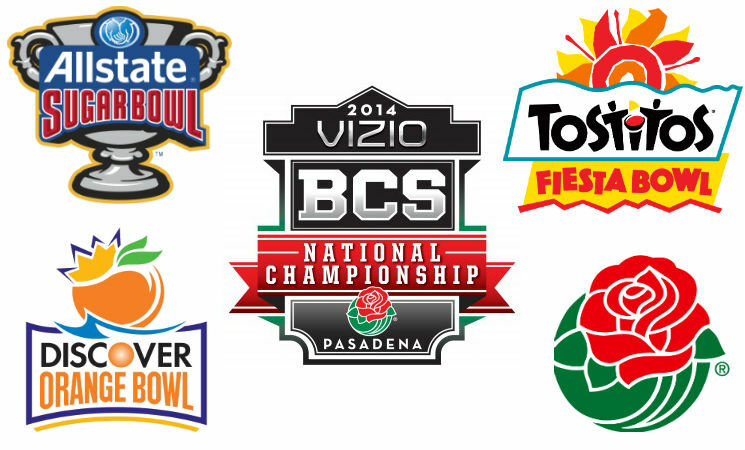 If more than one bowl loses a host conference champion, the bowl which lost the BCS No. 1 will choose its replacement from the pool and then the bowl that lost the BCS No. 2 will choose from the pool. Beginning this season, if the Rose Bowl loses either the Pac-10 or Big Ten conference champion to the BCS National Championship Game, they will be required to select the automatically qualifying non-AQ conference champion as one of their replacements. One of the three bowls will be required to select the Big East champion and the automatically qualifying non-AQ champion (if they have not been taken by the Rose Bowl) if one exists. 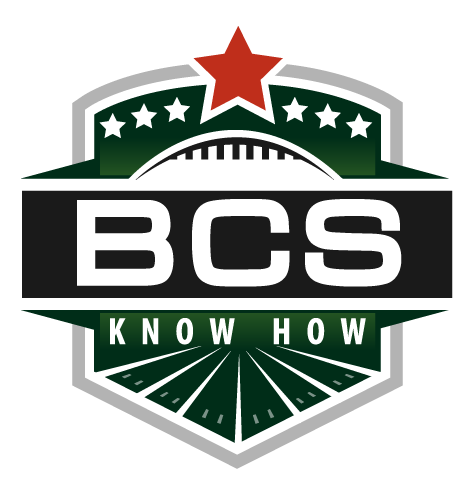 If not selected previously, a team which finishes third in the final BCS standings will automatically be awarded a spot in a BCS bowl if they are an at-large team from one of the six BCS conferences. If the third team is a conference champion, the fourth-place team will also be afforded this automatic eligibility if not selected previously.